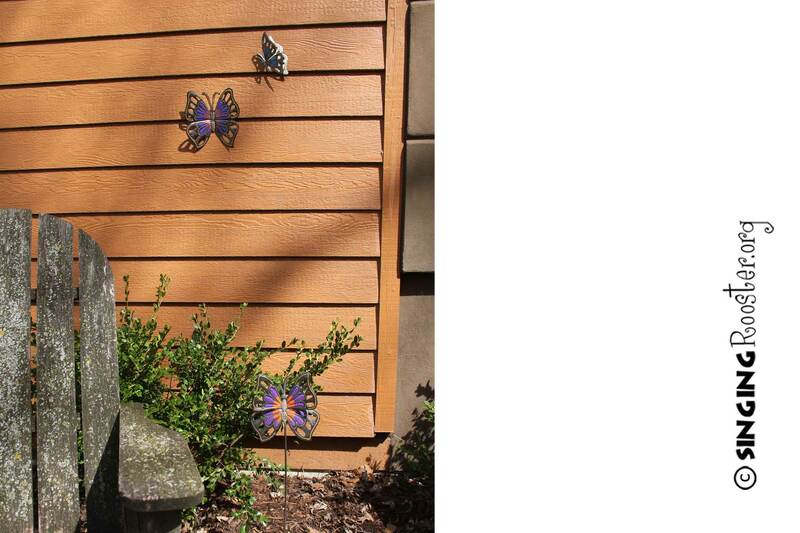 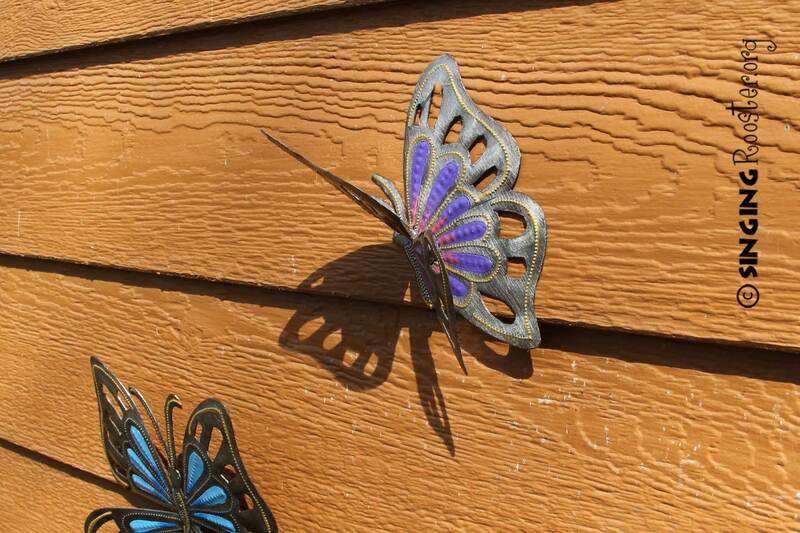 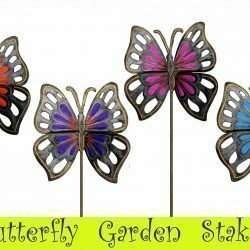 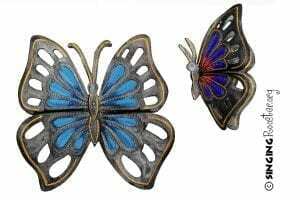 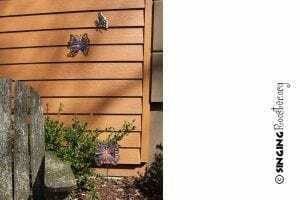 Sold as a pair – 2 Metal Butterflies – garden wall art with 3-D wings add ornamental opulence to yards & gardens. Handmade in Haiti from upcycled steel. Hand painted with vibrant colors and delicate gold highlights. 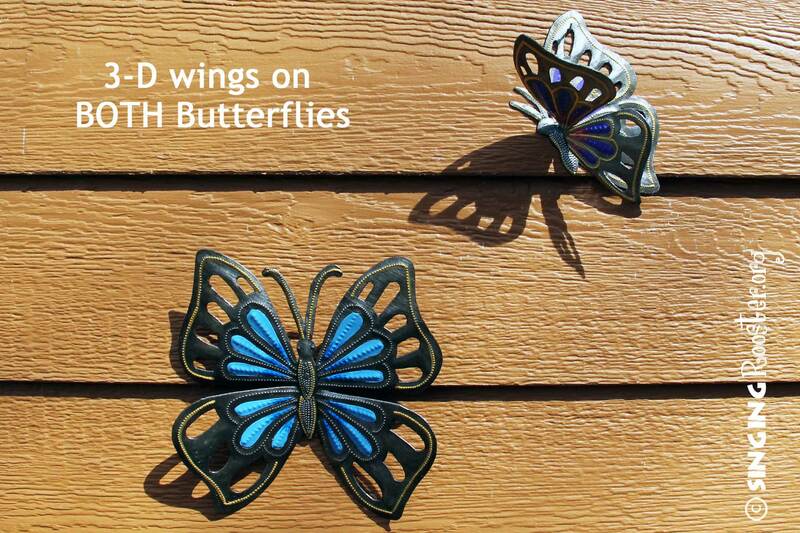 Carefully bend wings for 3-D effect.